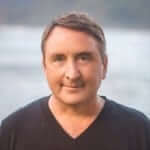 Nimble Social CRM Is the Answer to Why Another CRM System? What? Another CRM System? Why Nimble? Why Now? OUR STORY Today more than ever, businesses need to attract and retain customers. But the way they do it has radically changed. The old days of yelling at their customers “Hey Buy My Product!” with yellow page ads, advertising, cold calling, faxes and direct mail, are dead and gone. Smart companies recognize that their prospects are talking amongst themselves about what they are going to buy in countless places on the Web. They need to identify where their prospects are conversing, listen to those dialogs and engage with them via channels that they want to communicate on, which these days rely more and more on things like email, Facebook, LinkedIn, Twitter, Text Messages and IM. It’s important for business people to communicate with their co-workers. Companies need an easy way for their team members to learn about each other, share critical business knowledge as it relates to their outside contacts and collaborate on projects. It is not enough for companies to practice social externally, they need to do it internally as well. Most of the CRM products available today are too costly and complex. Our studies found that the majority of companies use only 10% of the features in their CRM products, essentially using them as glorified contact managers. I saw a need for a relationship management system that was lean, clean, dare I say Nimble, but had the power and flexibility to scale and grow with companies. Additionally, CRM systems focus on Customer Relationships and ignore all other Relationships that also drive business success. Friends, family, classmates, colleagues, partners, and even complete strangers also positively impact sales in a small business. Nimble was born from these realizations. 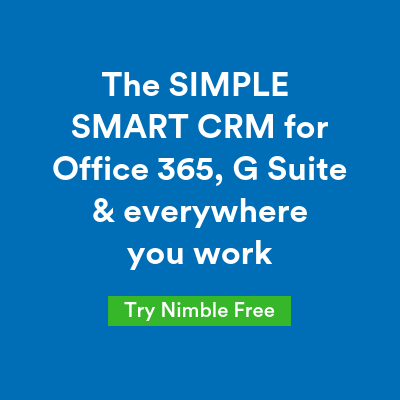 As our marketing folks would put it, Nimble is the only solution to offer small businesses the best features of high-end CRM systems combined with the communication power of social media and collaborative tools… all in one simple and affordable SaaS solution. Nimble is moving into private beta soon and I invite you to join us on our journey by signing up for the beta today. Your feedback will be key so that we can incorporate your ideas into the final release of our tool. We look forward to listening to your needs and engaging in conversations about how we can make Nimble a better solution for you. Next What The Heck Is Social, Social Business, Social Media and Social CRM?